For starters, try to find the right backpack for your child, their needs, and their preferences. To that end, give them one with an ergonomic design, enough space, several pockets for organization purposes, and a cool pattern or style. An organization system can help your child keep better track of their belongings. For example, they can organize the things in their backpack by subject. Just remind them to place the heavier items near the back, to avoid straining their body. Another thing that can help keep your child's backpack organized, as well as lighter, is to encourage them to pack it every night. This is so they only take the supplies they'll need the next day in school. 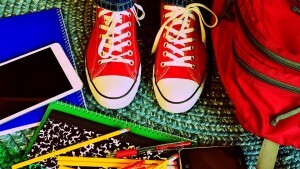 You should also give your child a pencil case or a smaller pouch where they can keep place all of their pencils, erasers, and other similar supplies that are smaller and easier to lose. Last but not least, help your child keep their backpack clean. To that end, make them empty it out every so often, and stick it in the washing machine, so it can be clean and arranged properly. Call The Tutoring Center, Sebring FL at (863) 269-8977 to enroll your child in one-to-one tutoring in Sebring FL that will provide the assistance they require to improve their academic skills.